This service that we provide here at Access Property Solutions in Carmel requires that we remove damage masonry services and installing new ones that will match surrounding materials. Just like any other material brick and stone surfaces require maintenance to help them look as good as new. At Access Property Solutions our services include repairing damaged concrete, structural damage, stains, and leaks. Masonry work is not for amateurs. This is a very durable form of construction that takes precision. The masonry work that we do is done by highly skilled professionals that go through rigorous training to enable to perform their jobs flawlessly. It is our goal to ensure that your home or business looks better than it has ever looked before. Things such as cracked driveways, porches, garden paths, etc minimize your properties aesthetic attributes. When these areas become damaged it is mandatory to have them repaired. These types of repairs to will require lots of panning and patience. 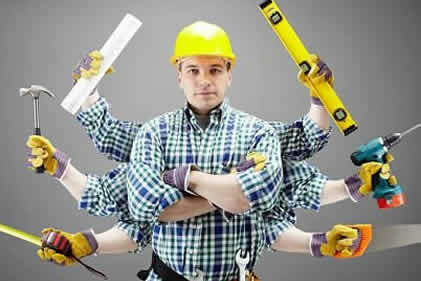 At Access Property Solutions in Carmel we do not believe in rushing to complete jobs as delicate as this. The service that we will provide you will be nothing less than stellar. Satisfied customers are the lifeblood of our company therefore we will not take any shortcuts on the work that we do for them. 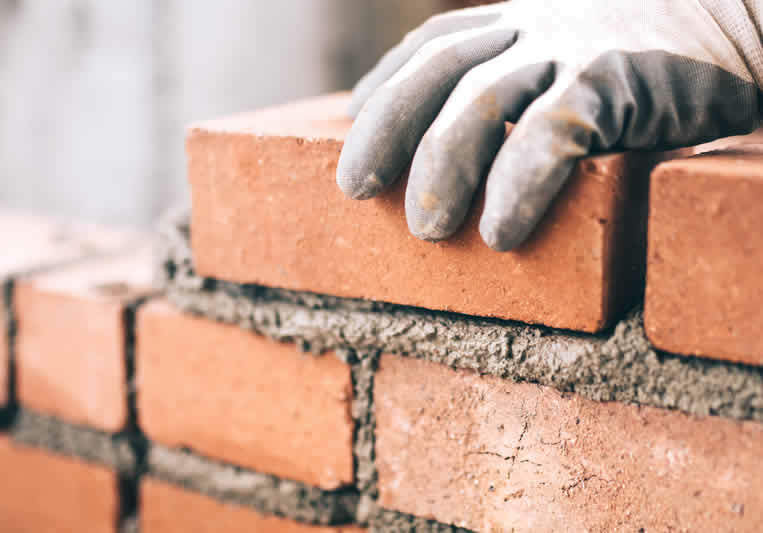 The ultimate goal of our masonry installation and repair service here at Access Property Solutions in Carmel is to extend the life of your concrete structures at your home or office. We can do this by performing maintenance that will save you money in the long run. If you are interested in finding out more about our masonry installation and repair service please give us a call. We are not new in this business but we have proudly been serving the Indianapolis area for 30 years now. So call Access Property Solutions in Carmel and surrounding areas for all of your masonry needs. Over the past 30 years Access Property Solutions has grown to be Indianapolis’ premier Professional services contractor in Indianapolis, Carmel, Fishers, Westfield and Bloomington, Indiana and surrounding counties by consistently producing quality work and at competitive prices. APS, LLC specializes and offers a variety of professional services which include: Roofing, Gutters, Masonry, Professional caulking service, Exterior painting, Plumbing, Siding repair, Window sill repair, Mold remediation, Concrete & masonry repair, Concrete & masonry cleaning and sealing, Pressure washing, Deck & fence cleaning and staining, Deck & fence repair, Drywall repair, Carpentry, Gutter cleaning and a whole lot MORE! Please visit our service page for a complete list of all other services Access has to offer. 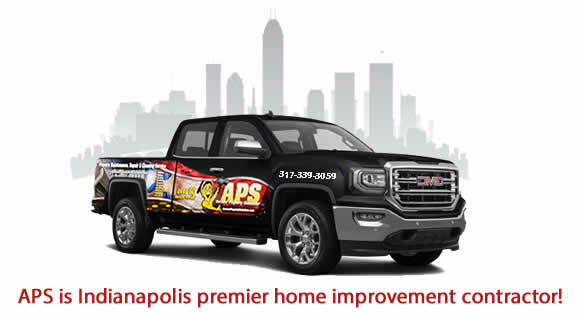 With APS you can rest assured you are getting the very best workmanship, top of the line materials and Professional uniformed employees that Indianapolis contractors have to offer. At APS we have trained professionals in every field of service APS has to offer, state of the art equipment to get the job done fast, reliable and with perfection. Unlike our competitors the quality of our workmanship cannot and will not be compromised. Our great reputation (5 stars on Google & Yelp) means everything to us. We always do our best work and our quality control is second to none. At Access we do not cut corners with cheap big box store materials, all of our commercial contractor materials and products are commercial grade only. Whether we are working on a high rise building, small store front or a residential home, we only use the top of the line materials and products, we do not buy our materials or products from big box stores that only last for a few months. Whenever we do work for our customers we constantly remind them of the different types of services that we offer, Access Property Solutions is one service contractor for all your home improvements and commercial property repair needs. Don’t Take A Chance, Call the professionals! Here at Access Property Solutions in Carmel we provide many professional services such as; property maintenance, installation, and repairs only to name a few. APS, LLC offers over 60 different commercial and residential property maintenance services. We are Indiana’s most trusted general contractors, located in the Indianapolis area. Access Property Solutions in Carmel is your one-stop shop in Carmel for all of your property maintenance, repair needs. Our customers are not just happy with the quality of our work but they also appreciate the many years of experience that we have under our belt. Access Property Solutions in Carmel possess many attributes that other companies don’t. We do not use sub-contractors. Our highly skilled uniformed employees are more than capable of successfully completing any tasks that they are scheduled to do. The work that we do is always precise. There is no need to rush good quality. Of course safety will be first at all times. At Access Property Solutions our customers are extremely important to us. The good quality work that we do definitely shows because a lot of the business that we get is from referrals from previous customers. We are sure that you will be satisfied with the level of quality work that we provide. All new customers are welcome right along with current customers. If you are in need of having some work done on your property please feel free to contact us. Our scheduling process is very simple. Once you complete the form online one of our representatives will contact you within 30 minutes. Access Property Solutions has been serving the Indianapolis area since 1988. We stand behind all of the work that we do. All of the work that we do is insured. We are so confident with the work that we do that our customers receive an additional 5 year warranty. So for all of your general contracting needs in Carmel or surrounding areas give us a call at Access Property Solutions. Our contact number is 317-339-3059. We look forward to accommodating your business needs. The roof is the first line of defense from the elements. Having a strong roof is essential to any home. Constant exposure to the elements can put a strain on your roof. Winter is almost here and that means there will be lots of inclement weather. In climate weather includes conditions such as; torrential rains, strong winds, snow storms, and hail storms. These storm conditions normally contribute to damage to the roofs of homes. When this happens shingles can become displaced, which can cause cracks in our roof. This compromises its integrity. People don’t realize that the smallest crack or hole in your roof can allow water to pass through. Missing shingles increases your roof’s vulnerability. Bad weather can take a toll on your roof. We have professional roofers that can make the necessary repairs to you your roof to prevent further costly damage. At Access Property Solutions in Carmel we have highly trained roofers available to accommodate your roofing needs. Many people may think that roofing is easy and think that they may not need the services of a professional roofer. Not allowing a roofer to make the necessary repairs to your roof may be a big mistake that you will later regret. A roofer performs several tasks such as; remove and repair broken tiles, measuring and cutting materials, and sealing roof joints with mortar only to name a few things. So hiring a roofer is very important. Here at Access Property Solutions in Carmel we understand this importance. It is that time of year where harsh weather conditions will cause damage to roofs on homes. Even the smallest of holes and cracks can cause a leak in a roof. This is when our highly trained professional roofs do their best work. If you have experienced any roof damage and are in need of having it repaired give Access Property Solutions in Carmel a call. 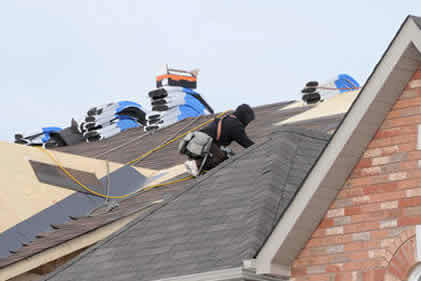 Our trained roofer will be ready to take care of your repair needs effectively and efficiently. Keep in mind that all of the work that we do is insured. We have been in business for over 30 years and we have lots of experience. So give us a call here at Access Property Solutions. When a gutter becomes clogged with debris it gets heavy and can detach from a house. If you are in need of having your gutters repaired you just don’t want anybody doing it. If you are in need of gutter repairs and you won’t it done right then Access Property Solutions in Carmel is who you need to call. We specialize in gutter repair service. By hiring experienced professionals to replace your gutters you can prevent injuries that you are subject to if you try to replace them yourself. Over the past 30 years we have been determined to provide our customers with the best service in both Carmel and the state of Indiana. The gutter repair service that we offer at Access Property Solutions in Carmel is very reasonable. Once you complete the online form for your free quote one of our representatives will contact you within 30 minutes via email. We offer a 20 percent discount for both new and old customers. This is our way of saying thank you to provide service for them along with those who entrust with repeat business. At Access Property Solutions in Carmel we realize that winter is right around the corner. This means that there will be lots of gutters that will become damaged from being clogged by fallen leaves from trees and water from rain. These are factors that contribute to increased weight in the gutters. This results in the gutters breaking away from the house. Access Property Solutions in Carmel will come and repair the problem immediately before it causes severe damage to your home. Our highly trained technicians will have your gutters up and running in no time. All of the work that we do is completely insured. We even offer an additional warranty on all of our work which ensures that our customers will receive quality work. It is that time of year where gutters get clogged up and become detached from homes. Access Property Solutions in Carmel has highly trained employees that are available to perform gutter repairs. We believe in providing our customers with the best service available. 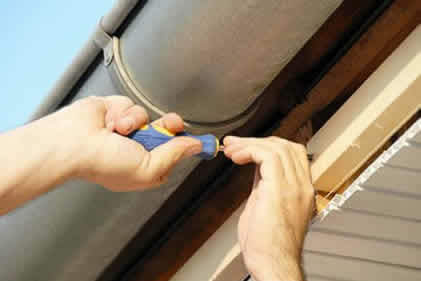 If you are in need of gutter repair give us a call at Access Property Solutions. We have over 30 years of experience in the business. No repair is too big or too small for us. If you are in need of gutter repair give us a call at Access Property Solutions. We can be reached at 310-339-3059. We look forward to your business. Once water and/or moisture penetrates the stone, concrete, masonry or caulking joint surfaces it causes the natural salts to form and the deterioration of the structure to begin. Once the water damage deterioration begins to the home or commercial property the damage can be serve and VERY costly, in some cases the home or structure will sag and need lifted to repair – not a cheap fix! Regular maintenance is the key to keeping any property water tight. Keeping your windows, doors, and all cracks and cavities sealed on your home or commercial property with a professional grade silicone or urethane caulk sealant is essential to keeping any property water tight. There are some people that may believe that it is useless to power wash and seal concrete and masonry to protect and water proof masonry and concrete surfaces. Concrete & masonry pressure washing and sealing is very important. When power washing concrete or masonry you have to be very careful because it can possibly cause significant visible damage if it’s not done properly. At Access Property Solutions we understand the need for pressure washing & sealing concrete and masonry for residential, commercial and high rise properties. Access also offers mortar repair – tuck pointing, Masonry repair, chimney restorations and Professional caulking for residential and commercial properties. When pressure cleaning concrete or masonry it removes all the dirt and debris from the surface and opens up the pores so that the sealer, topping or coating can be applied. Pressure washing is essential to this process, any and all algea and mold must be chemically treated to kill before pressure washing and sealing the stone, concrete or masonry and mortar can begin. After the pressure washing is completed and all debris, oil and dirt have been removed, our trained professional restoration experts can then apply the masonry or concrete sealer or coating to water proof the masonry, stone or concrete surface. Sealing will protect the concrete, stone, mortar, masonry surfaces from water penetration, salt, foot traffic, oil, stains, and weather etc.. Access Property Solutions only uses professional grade commercial sealers and topping for masonry and concrete surfaces. Concrete and Masonry sealers and toppings help to extend the life and beauty of any property by keeping the water out. A good concrete and masonry sealer or topping also helps prevent dirt and grime from building up. When concrete & Masonry is neglected it will eventually start to deteriorate due to water damage and weather, which will end up costing you more money in repairs in the end. Cleaning and sealing concrete and masonry surfaces should be performed every 7-10 years and more often depending on where you live. But before you seal or water proof any masonry or concrete surfaces a professional caulking contractor should be called to inspect the structure, building or home for any broken caulk joints and/or open cavities and seal with a good quality grade commercial silicone or urethane caulk and sealants. Caulking compounds and sealants are used to fill cracks and cavities in buildings and residential homes in order to prevent the joints and cavities from water penetration. All cavities, cracks, windows, doors, expansion joint, siding, flashing should sealed with a commercial grade caulk before the masonry, concrete, stone or masonry can be sealed. 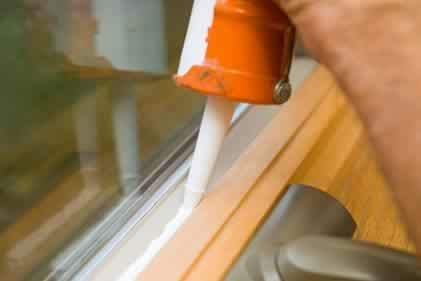 Access Property Solutions is a professional caulking contractor in Indianapolis, Indiana. No job is too big or small for our expert caulking crews. Access only uses commercial grade sealants and caulks. At Access we do not use cheap big box store caulks and sealant, whether your a residential customer or commercial, our caulking contractors only use the best. Our expert caulkers are the best Indiana has to offer, and we only use commercial grade silicone caulk and urethane commercial grade caulk. Some people think that concrete last forever. Concrete, masonry and mortar may seem like it is indestructible and will last forever but it isn’t, water will destroy the masonry, mortar and concrete over time if routine maintenance isn’t performed such as cleaning and sealing the surfaces. It is possible for masonry, concrete and mortar too last a life time or longer but the only way to make this a reality is to do routine maintenance such as mortar and brick repair, power washing and sealing the masonry or concrete surfaces. Power washing must be completed before any masonry repairs or masonry sealing can be performed. Power washing and sealing concrete, stone, brick and masonry gives it a new appearance and in many cases it can possibly restore the concrete back to its original appearance. 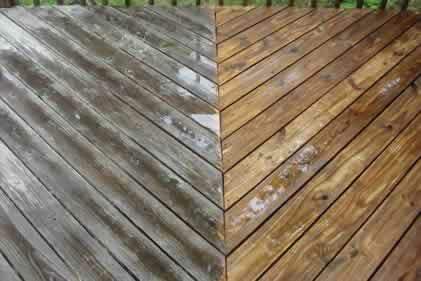 Regular power washing and sealing can restore and prevent damage. Pressure washing is safe because it does not require the use of a lot of chemicals, most of the time just water alone will get the job done. cleaning & sealing helps preserve its appearance and prevents it from long term damage. Power washing is essential to preserving the surface life of the concrete, stone, mortar or masonry. So instead of trying to use time consuming methods to clean your concrete, just give Access Property Solutions in Indianapolis an opportunity to power wash and seal it for you. Leave it up to the professionals here at Access Property Solutions in to get the job done. We have not only provided our services for the city of Indianapolis but also for the state of Indiana since 1988. Give us a call at 317-339-3059 for your free quote. Our work speaks for itself. In the mean time here at Access Property Solutions we look forward to your business. The work Access Property Solutions performs ranges from preventive, water proofing, masonry repairs, caulking, concrete repair, pressure washing and building restoration. Access Property Solutions in Carmel is the best in the business when it comes to new gutter installation. With 18 colors to choose from, Access offers gutter installation for 6 inch gutters. We pride ourselves in giving our customers the best, which is why we only install seamless gutters to allow better flow and drainage as well as the best cosmetic look for your home. Gutters are a key component to your home. Proper gutter installation drains water away from your home and foundation, resulting in no foundation leaks or roof leaks. Improper installation of gutter systems can result in roof and foundation leaks which can cost you thousands of dollars in damage. Don’t take a chance, call the experts! With over 22 years of experience, our new seamless gutter installation technicians get the job done fast and efficiently. 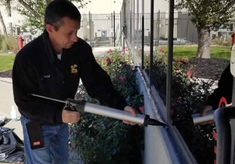 Our seamless gutters are made onsite with or industry leading 6 inch gutter machine. Available in 18 colors, as well as steel, copper, and aluminum. After the new seamless gutter installation, we water test your new gutters to ensure you our seamless gutters were installed correctly and that the water drains properly away from your home. Unlike our competitors, all the work we do is completely insured and comes with a 5 year labor warranty! No other new gutter installation contractor offers a better warranty than Access. For you new gutter installation needs, call Indiana’s premier new gutter installation contractor for a free estimate (317)339-3059 or fill out our Contact Form to receive 20% OFF! DID YOU KNOW Access offers over 60 Home Improvement and Commercial Services such as Masonry Repair, Roof Repair, Gutter Repair, Gutter Cleaning, Siding Repair and a whole lot more! Visit our Services Page for a full list of the 60+ services Access has to offer! Windows are very important to the appearance of your business. Dirty windows are never pleasant to look at. It takes away from their true transparency. Having your windows cleaned will definitely have a positive effect on your business. Your windows are the first thing that people are going to see. If they are not clean that is not a good reflection on your business. It is important to remember the old saying, “First impressions are last impressions.” Window cleaning service is an invaluable service that Access Property Solutions in Carmel can provide for you. Our service will give your windows a professional high gloss that it will make them appear like they are not even there. The top quality window cleaning that we provide will have your windows looking great long after we have finished the job. Access Property Solutions understands the importance of window cleaning. This form of maintenance is often overlooked by most businesses. There are lots of things that business owners may not understand about glass. They don’t understand the true need of have a window cleaning service done. The first thing is that glass is porous and collects dust. Over a period time glass becomes fragile. Glass also loses its transparency. Secondly, glass windows collect hard mineral deposits from runoff of sprinkler systems. Thirdly, when windows are encased in metal frames and screens it causes oxidation. Lastly, windows became stained from accidental overspray from paint, chalk, and mortar particles. These are all factors that create a new need to have your windows cleaned. Access Property Solutions in Carmel wants to provide this service for you. Window cleaning is one form of maintenance that many businesses overlook. Clean windows should be a priority of all businesses. Not only are they the first thing that people see but also clean windows gives your business credibility. Dirty windows clearly indicate that business owners may have a careless attitude. This type of attitude can be very toxic to any business. At Access Property Solutions we want your business to be a positive reflection of you. Having clean windows is the first step in showing that you are dedicated in your efforts to contribute to the welfare of your business. 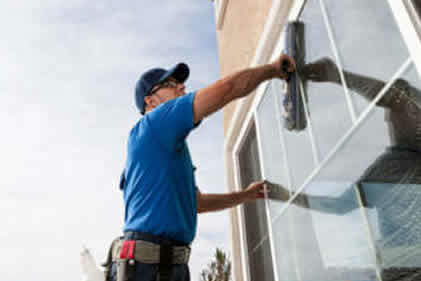 Entrust all of your window cleaning service needs to Access Property Solutions in Carmel. You will be amazed by the quality of our work. Please give us a call at 317-339-3059. Access Property Solutions in Carmel is your premier professional caulking service company in Indiana. Professional caulking is extremely important and must be kept in excellent shape in order for it to do its job. What exactly is the purpose of caulk? Lets explain. Caulk comes in many different brands, types of compound structures, and colors, but ultimately all serve the same purpose. Professional Caulking’s purpose is to keep water leaks, air leaks, dirt, debris, bugs and insects, and many other things from entering your home or building. At times, caulk can be one of the most important components of your building or home! For example; When a home builder installs windows in a home, once the installation is completed, the next step for them would be to caulk the joint between the window frame and the wall structure all the way around. In doing this, water can no longer penetrate through that gap. Neither can air, dirt, or bugs! Now, as is with anything in life, nothing lasts forever. Lets refer back to the joint around the window. Over time, the existing caulk in these joints will deteriorate, crack, fade, crumble, and break away, leaving the inside of your home vulnerable to the elements and even costing you potentially thousands extra per year in utilities! At Access Property Solutions in Carmel, our goal is to fix issues like these and in doing so SAVE you thousands per year. Most caulking contractors are unlike us. The majority of companies try to cut corners to save a little bit of time and a few extra dollars. Other caulking contractors will do things such as fail to remove all the old existing caulk, which causes the new caulk to not seal properly and decreases the life tremendously. They will also use cheap sealants, or the wrong type of sealant, which will also decrease the life of the caulk by many years. At Access, our highly trained caulking professionals cut no corners to give our customers the bests results possible, making your home or building looking and performing better than it ever has. Access Property Solutions in Carmel’s employees go through hours of vigorous training, are always uniformed, as well as clean cut and professional because when we’re at your home or building, one of our top priorities is to represent our customers with class and integrity along with being the best at what we do. Our professional caulking contractors make sure all existing caulk is removed before anything else is completed to ensure the new sealant holds the way it should. Once that step is complete, we pack the joints with backer rod. This step is something many caulking contractors skip. The reason for backer rod is to provide an extra layer of insulation for your home to keep your utilities as low as possible and save you thousands every year. Once the backer rod is in place, Access’ highly trained professionals begin to fill the joint with top-of-the-line sealants. We strive on giving our customers what they deserve, and that’s the best products on the market. Access Property Solutions in Carmel does not buy sealants from Lowes, Home Depot, or any of those typical department stores. Instead, we buy products straight from top of the line retailers. These sealants we use on your home are the same grade used on high rise buildings, because it needs to last you decades, and will! Access Property Solutions in Carmel specializes in residential caulking as well a commercial caulking from 1 to 50 stories. No job is too big and no job is too small for us. Serving Indianapolis, Carmel, Fishers, Westfield, Bloomington, Shelbyville and all surrounding areas since 1988. Access offers an industry leading 5 year labor warranty on top of the manufacturers warranty. No company beats that. 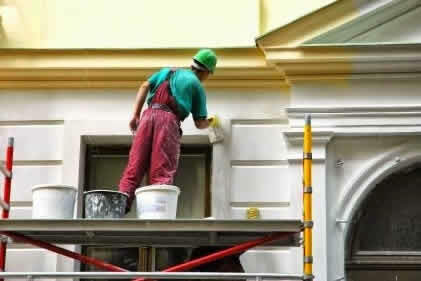 Our highly trained professional caulking contractors are always uniformed. Access is fully insured, and unlike most companies we stand behind using no sub-contractors. For all your professional caulking needs, call us for a free estimate today at (317)339-3059 or simply visit our Contact Page to receive 20% Off! DID YOU KNOW Access offers over 60 Home Improvement and Commercial Services such as Roof Repair, Gutter Repair, Gutter Cleaning, Siding Repair and a whole lot more! Gutter cleaning is the epitomeof filth. It is a dirty and time consuming task that nobody wants to do. When gutters are not properly cleaned they become backed up causing major property damage. 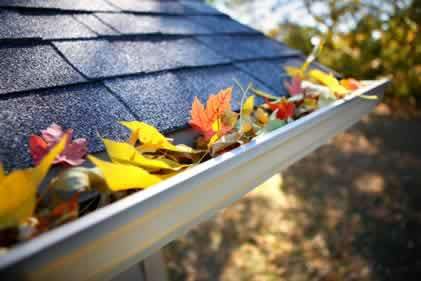 Clogged gutters can contribute to thousands of dollars in damage each year. Cleaning your gutters is an important part of maintaining and caring for your home. When gutters are clogged they cannot serve their purpose. When a gutter is clogged water is not properly removed from which causes it to leak. Winter is right around the counter so not only can gutters become clogged by leaves that have fallen from trees but also by other debris that can cause damage as well. Clogged gutters can present serious health issues. As a result of the gutters being clogged the water in them becomes stagnated which the moisture from that can lead to mold and mildew. Both mold and mildew can cause respiratory problems. There have been cases where clogged gutters have caused some people to eventually become ill with lung disease. It is less expensive to allow us to clean your gutters versus calling in someone to come in and decontaminate your home of mold and mildew. At Access Property Solutions in Carmel we realize that clean gutters will protect your family from being subjected to unnecessary health issues. When gutters are not cleaned they can sometimes overflow with both water and debris, which can become very heavy. This can cause the gutter to detach from the side of your home. This too is very costly damage to your home. This all can be avoided if you just invest in a little preventive maintenance such as just simply having your gutter cleaned. Access Property Solutions in Carmel will clean your roofs for you. By you allowing us to clean your gutters we can prevent you from having purchase a new roof. If you periodically keep your gutters cleaned it will protect your roof and extend its lifespan. At Access Property Solutions in Carmel it is the season to have your gutters cleaned. We want to provide this service for you. There is no need to worry. Not only are we completely insured but all of our work that we do is under warranty. Access Property Solutions in Carmel has been serving the state of Indiana for over 30 years now. So for all of your gutter cleaning needs consider Access Property Solutions in Carmel. Customer service is our top priority. We value all of our customers and make sure that they receive the highest level quality of work. So give us a call at 317-339-3059 for your free quote. We look forward to your business. Your roof is one of the most important parts of the home. It keeps you dry, adds a layer of insulation to keep you warm and utilities down, and protects your from the elements. Severe storms, driving rain, hail, sleet, and snow all push your roof to its limits. Eventually, these elements break your roof down over time. That’s where Access Property Solutions in Carmel comes in. Access specializes in roof repair and emergency roof repair services. Whether your roof incurs damage from a storm, a tree, or father time is catching up to it, we are your premier roof repair contractor in Indiana! Since 1988, Access Property Solutions in Carmel has been Indiana’s top roof repair contractor. Our employees have years of experience in the field, after being vigorously trained. We complete your roof repair in a timely and professional manner with safety being our number one priority for ourselves and the homeowner. Access’ employees are always uniformed. We are fully insured and offer an industry leading 5 year labor warranty on top of the manufacturers warranty. No roof repair contractor in Indiana offers a better warranty. If you see or suspect there is an issue with your roof don’t wait, call the experts. What may be a small problem with your roof will lead to a major issue if not handled immediately and in result can cost you thousands in damages to your home. Access Property Solutions in Carmel will give you a free roof inspection along with a free estimate. At Access, we know life can get in the way and unexpected expenses can be very costly. Have a budget? Let us know and we will do everything we can to work within your means to get you a price you can afford and the roof repair you deserve. Most people are unaware that in certain cases, your roof needs cleaned. Bacteria, mold, fungus and dirt can grow or buildup on the surface of your roof. The most common growth on roofs is mold. Mold can spread quick and lessen the life of your roof by years by deteriorating the shingles. Not only is mold detrimental to your roof’s life, it can also be deadly to your health. In many cases, mold spores can become airborne, and sucked in through your hvac system, causing those mold spores to be inside your home. Inhalation of mold can cause serious respiratory issues and illnesses. Access Property Solutions in Carmel wants to keep your roof in its best shape, but most importantly keep you and your family healthy and happy. At Access, we specialize in roof cleaning services, using top of the line chemicals to kill mold, moss and bacteria and follow up with a soft rinse to wash away whats left and leave your roof looking new again. Many roof cleaning contractors use pressure washers for roof cleaning services. This is a terrible practice that will, in the end, leave your roof in worse shape than it was before. The reason for this is because your roof’s shingles are made up of thousands of tiny granules. When a roof cleaning contractor uses a pressure washer for roof cleaning services, the high pressure rips these granules away, leaving your roof damaged. This is why Access uses non-invasive chemicals and a soft rinse. For any roof repair services or roof cleaning services, call Access Property Solutions in Carmel for a Free Estimate (317)339-3059 or fill out our Contact Form to receive 20% OFF these services! DID YOU KNOW Access offers over 60 Home Improvement and Commercial Services such as Masonry Repair, Gutter Repair, Gutter Cleaning, Siding Repair and a whole lot more! Visit our Services Page for a full list of our 60+ services offered! Indianapolis, Carmel, Fishers, Westfield, Bloomington, and Shelbyville, Indiana. ©2019 Copyright - Access Property Solutions, Inc.